Need to find a janitorial service that offers window cleaning in Houston? Trius Janitorial Systems can help! 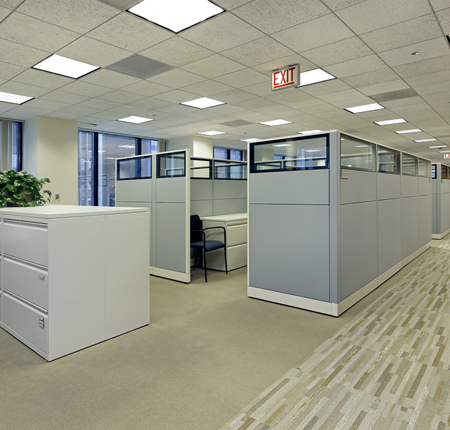 We offer a full range of top-notch cleaning services that will keep every inch of your office spick and span. Whether you rent a small office space or an entire building, you can count on our team of experienced professionals to clean it all from top to bottom. With over 25 years of experience as a licensed, bonded, and insured cleaning provider, we can tackle any cleaning project you need. As a Green Seal Certified cleaner, we use the latest green cleaning solutions to protect the safety of our clients, their employees and our own team. Our company remains committed to doing all that we can to help the environment by using the safest chemical compounds available. Want to learn more about how our company's janitorial cleaning services in Houston can transform your office form dingy to dazzling? Call Trius Janitorial Systems now to schedule an appointment for a complimentary obligation-free proposal. We are proud to serve clients throughout the greater Houston metropolitan area, including those in the surrounding cities of Katy, Sugar Land, Spring, Missouri City, Pearland, Mission Bend, Pasadena and Galveston!